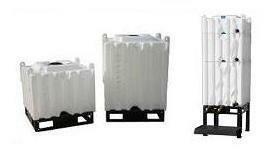 Vertical water tanks - These above ground water tanks are ideal for a variety of uses that include storing potable drinking water, harvesting and collecting rainwater and as an emergency water supply. Heavy Duty water tanks available for sale nationwide at wholesale prices. These polyethylene water storage tanks are one of our most versatile tanks and perfect for storing potable water. Gallon indicators standard. Underground water storage tanks and water cisterns. These below ground water tanks have been manufactured from linear polyethylene to store water with the tank out of sight and buried in the ground. Metal tanks are made of steel. The steel has galvanized coating that provides quality water storage for 20 years plus. Light will not break down or discolor the tank shell and will not crack in below freezing conditions. Fiberglass tanks have a variety of applications including but not limited to salt water to potable water. These tanks are corrosion resistant, do not require resurfacing, and have a longer life span than most tanks. 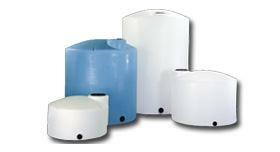 Rectangular water tanks perfect for marine and RV water tank applications. We have hundreds of rectangular water tanks in varying sizes. We can help you find the perfect water tank if you provide us with the dimensions alloted for the tank. Call us at (866) 310-2556 today. EMERGENCY WATER Tanks for sale. Minimum water requirement is 1 gallon per person per day; that’s 7 gallons per person per week. Don't forget about pets or hotter climates. We recommended 5 gallons daily per family member and pet. Horizontal water tanks are great for water hauling and water storage applications. These horizontal tanks are constructed for above ground use and are self supporting tanks. Tie down bands may be required depending on the volume of the water tank. Low profile water hauling and water storage tanks have a slosh reduced design through the use of their ribs. The low profile water tanks ribs not only help reduce slosh but also provide the tank with amazing structural support. A favorite amongst water haulers. Pick Up Truck water tanks for sale. These truck water tanks fit in the bed of almost all major truck models and have been specially manufactured to rest on top of the wheel wells to maximize space. This tank is perfect for water transport. Doorway water storage tanks for sale nationwide at wholesale prices. Our doorway water tanks range in gallon capacities from 250 to 500 gallons. These water tanks are 29" wide which is why they are commonly called slim line tanks. Portable water tanks and auto detailing tanks. We have hundreds of sizes of portable water storage tanks available for sale nationwide. Browse our tanks online or call one of our expert sales representatives at (866) 310-2556. Open top water tanks and water storage tanks. These tanks are ideal for mixing applications because of their open top. These tanks are commonly used in chemical storage and water mixing applications. Speak with one of our experts if you have any technical questions before purchasing. Intermediate Bulk Containers (IBC Tanks) are heavy duty tanks that are extremely durable and work fantastic as water tanks and also as a storage tank for a variety of other liquids. These water storage tanks are made from FDA approved resin and are safe for potable water storage. Forklift water tanks are manufactured for transport applications that are light duty and not department of transportation regulated. These forkliftable water tanks feature a pallet frame that is molded into the base so it can easily be picked up by a forklift. Stackable free standing water tanks can be stacked on top of each other when you have smaller space restrictions. 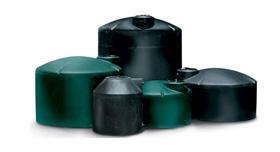 These tanks are made from FDA approved polyethylene resin and can be safely used as a water storage tank.